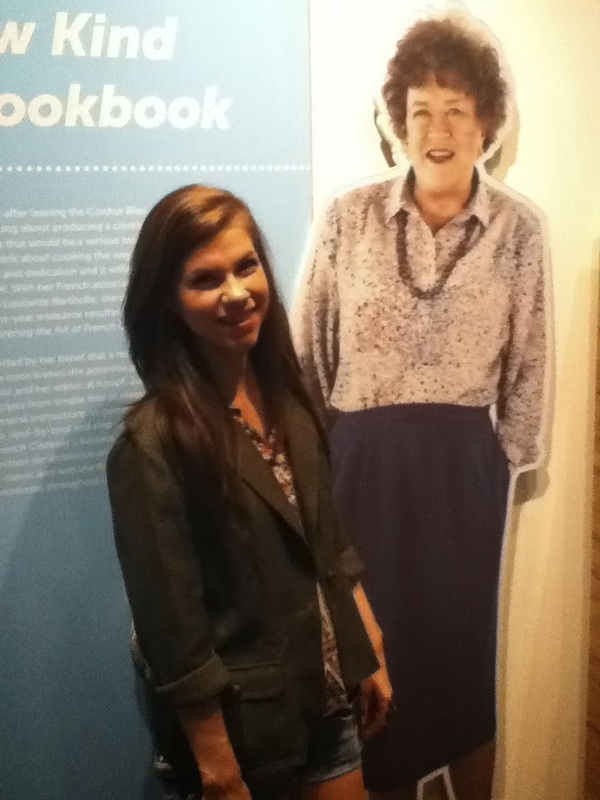 About four years ago, the movie Julie & Julia came out, and after seeing it, I fell even more in love with the amazing Julia Child. I had heard of her before seeing this movie, but got to know her even more in this incredible movie. Also, this movie is my “life movie” meaning, if you want to get to know me….watch this movie, it is everything I love. What I love about Julia is her pure love in cooking, and eating. She truly loved not only to cook, but also eat. I also love how her living in France influenced her life in such a positive way. 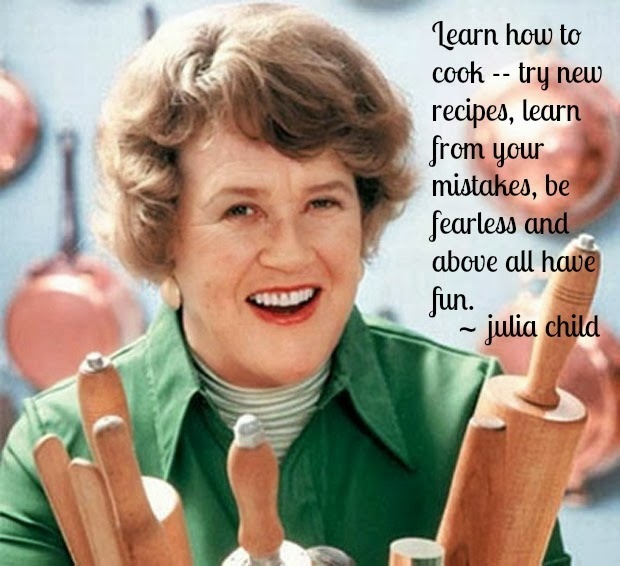 Julia was an American icon in both cooking, and pure entertainment. She gave so much French culture to America, and I admire her so much for that. Her rawness is something you can really experience in watching any of her cooking video’s footage. She was never ashamed of dropping an omelet on the floor, or provocatively describing how to debone a chicken. 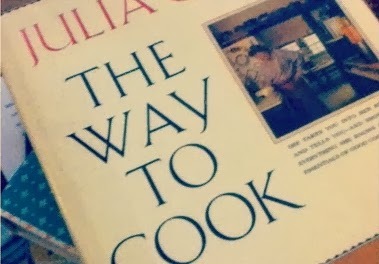 Julia made cooking something enjoyable, and realistic, which was monumental for wannabe American chefs. I admire her in all aspects, and truly am inspired by her every time I read one of her cookbooks, hear her iconic voice, or watch any of her cooking videos. They all make me so happy. 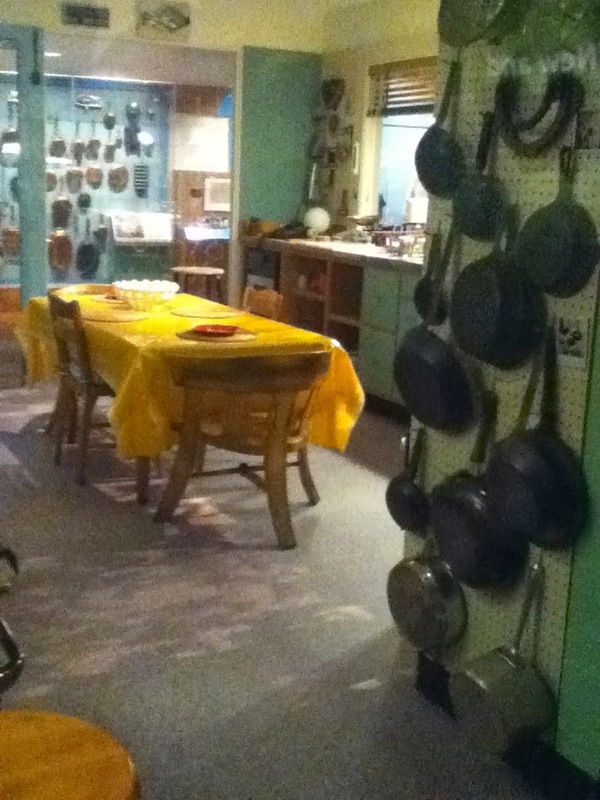 Last summer, I had the privilege of going to see the exhibit Julia Child’s Kitchen at the smithsonian. Seeing all of these objects that she had in her kitchen, made me feel so connected to her and I fell even more in love with her and all she gave us in her life. 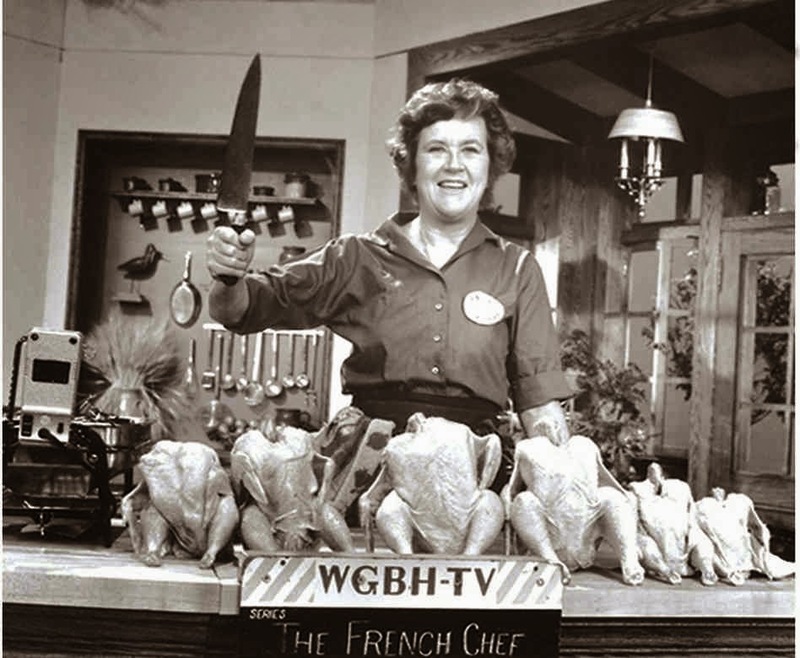 My love of thrifting has also allowed me to discover many different Julia Child related things, including several VHS tapes of The French Chef, along with several of her cookbooks. 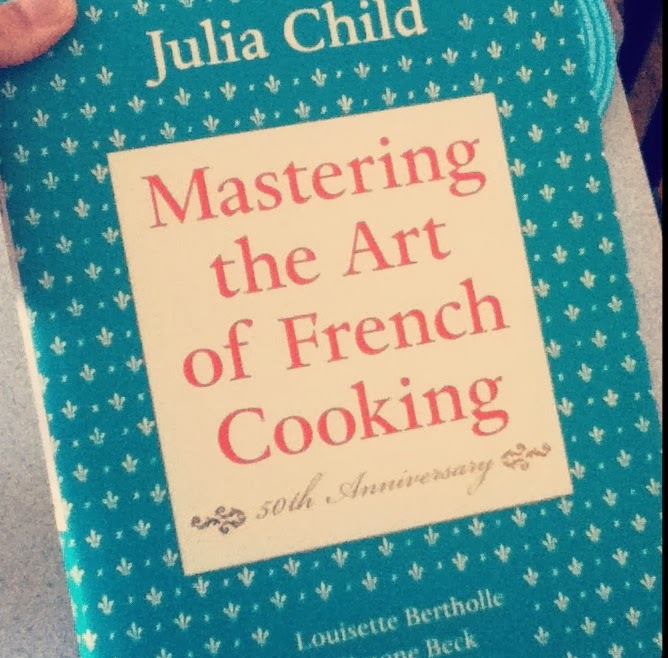 Along with my thrift finds, I have amazing parents that have gifted me Mastering the Art of French Cooking, as well as Bon Appetite. 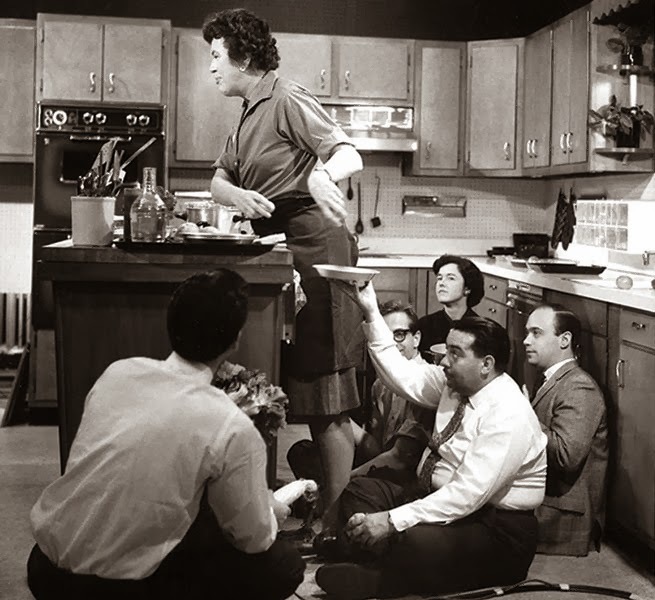 If you have never watched a Julia Child cooking video, or read any of her cookbooks, I strongly urge you to. Here are a couple of links to youtube videos of her cooking. Thank you so much! I'm glad you're enjoying them!